The 2020 Subaru Legacy has had its big reveal in Chicago today, and it promises more refinement, more power, and more tech in this, its seventh generation. 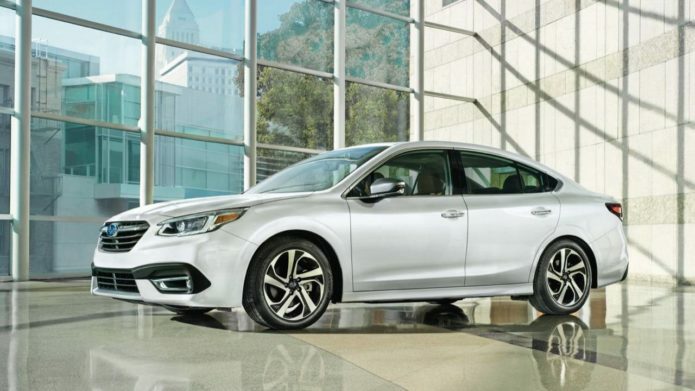 Packing Subaru Symmetrical All-Wheel Drive as standard, the 2020 Legacy sedan also offers up to 260 horsepower and standard EyeSight driver assistance technology. It’s a quietly handsome car, unmistakably a Legacy but smoothed out and grown-up for the 2020 model year. Based on the Subaru Global Platform – which the automaker says should result in a car 70-percent stiffer in torsional and front-suspension rigidity, and 100-percent stiff in front lateral flexural and rear subframe rigidity – it uses more ultra-high-tensile-strength steel than before, not to mention plenty more structural adhesive.